BBC One has confirmed that Blandings, the period comedy series based on the novels of PG Wodehouse, will return for a second series. Commissioned by Danny Cohen, Director, Television (in his previous role as Controller, BBC One); Shane Allen, Controller Comedy; and Kristian Smith, Executive Editor, Comedy Commissioning; and produced by Mammoth Screen, the series will air on BBC One early 2014. 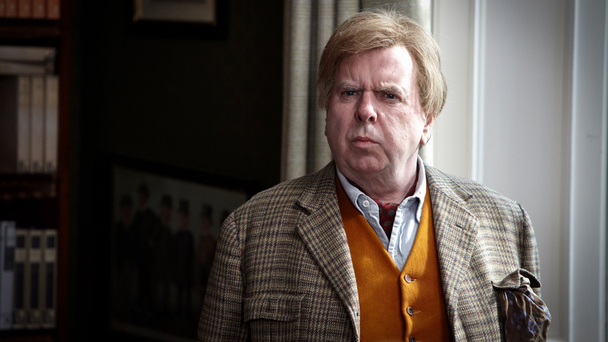 Blandings will see Timothy Spall (The Syndicate, Harry Potter films, The King’s Speech) and Jennifer Saunders (Absolutely Fabulous, Jam & Jerusalem, French & Saunders) reprise their roles as the absent-minded Lord Emsworth (known as Clarence to his friends) and his indomitable sister Connie, alongside Jack Farthing (Da Vinci’s Demons) as Clarence’s feckless son, Freddie. The series is once again adapted from the Blandings Castle books by writer Guy Andrews (Lost In Austen). Blandings, a 7x30-minute series for BBC One, will be produced by Mammoth Screen and filmed in Northern Ireland together with funding support from Northern Ireland Screen. Kristian Smith is the executive producer for the BBC, alongside Mammoth Screen's Damien Timmer and Guy Andrews.